Yi Mao is the Project Associate for the State Innovation Model in Michigan Patient Centered Medical Home (SIM PCMH) Initiative. She assists with administration and implementation of the Initiative. 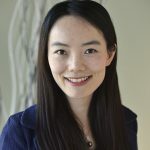 Prior to joining SIM PCMH, Yi served as a program specialist for the University of Michigan Health System and Peking University Health Science Center Joint Institute (UMHS-PUHSC JI). She provided support in administration and evaluation of multiple research collaborations between UMHS and PUHSC. Yi holds a master’s degree in Health Management and Policy from the University of Michigan School of Public Health and a bachelor’s degree in Medicine from Fudan University.